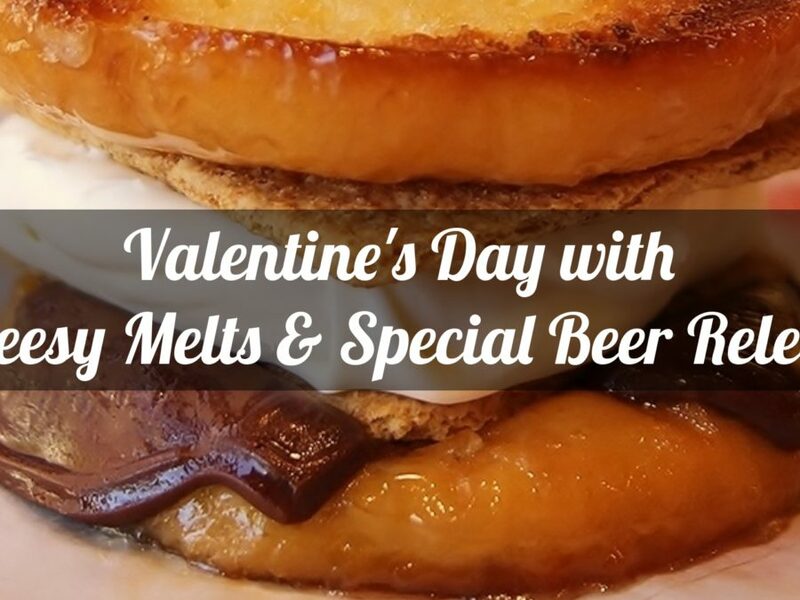 Farmington Brewing Company » Events » Past Events » MELT YOUR HEART WITH CHEESY MELTS & BEER RELEASES! Farmington Brewing Company > Events > Past Events > MELT YOUR HEART WITH CHEESY MELTS & BEER RELEASES! MELT YOUR HEART WITH CHEESY MELTS & BEER RELEASES! Join us on Valentine’s Day this Thursday, February 14th for food and drinks at the brewery! This year we will be hosting our friends from Cheesy Melts, formally known as TOM + CHEE, as well as releasing two small batch beers! From 5:30 to 9:00 PM, Cheesy Melts will be serving up their signature grilled cheese sandwiches, soups, and desserts! We will be family friendly during food service hours, so celebrate Valentine’s Day with all the people you love! Can I Borrow a Feeling?- A high gravity red ale. Brewed with a generous amount of cinnamon heart candies, this beer has a nice cinnamon bite with a spicy finish, and sweet cinnamon aroma. 8.2% ABV. So whether you’re celebrating Valentine’s Day with a significant other, the whole family, or if it is just another Thursday to you, be sure to stop in the brewery and grab a bite and a pint!